With a combination of healthy fats, sodium and calcium, the Zhou MCT Oil Powder is a good solution for added energy. It also works well for appetite control since it comes with the healthy fats. The coconut extracts also come with antibacterial action and this is why it can be used when it comes to a healthier digestive system. For the best results, you will need to use it daily. 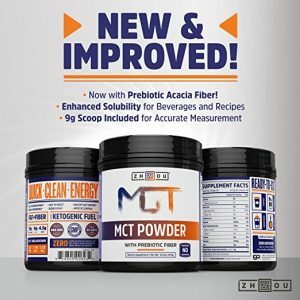 But most importantly, the MCT Oil Powder is a leading solution for weight loss purposes with low carbohydrate diets such as the Ketogenic diet. This is mainly due to its capacity to boost ketone production and thus, it offers a real solution when it comes to added energy in otherwise stressful times for the body when you look to lose weight. 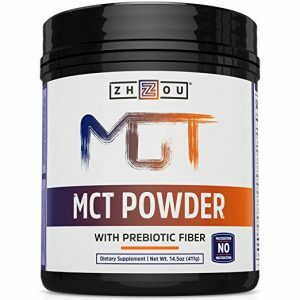 The MCT Oil Powder represents one of the best solutions when you want to lose weight. This is mainly due to the ability of the body to transform the fats into a source of energy and ketones in the absence of carbohydrates. It can also mean that you can maintain good energy levels when you want to find improved overall results during the weight loss process. This process can take up to a few weeks and some people can accuse a form of energy drop. It is thus important to counterbalance this the right way. With better overall results in terms of health and energy, it represents a solution which is easy to use and which allows you to develop the right skills when it comes managing energy from fats and proteins. The Zhou MCT Oil Powder also comes with sodium and calcium. You might think that these is not necessary but the manufacturer added the minerals to support the body during diets such as the Ketogenic diet which can come with an increased excretion of these minerals. This is why you want to ensure your minerals are at their best when they allow you to sustain proper muscle function. Even more, it is also recommended for you to combine this supplement with a diet based on the same pillars of fats and minerals. 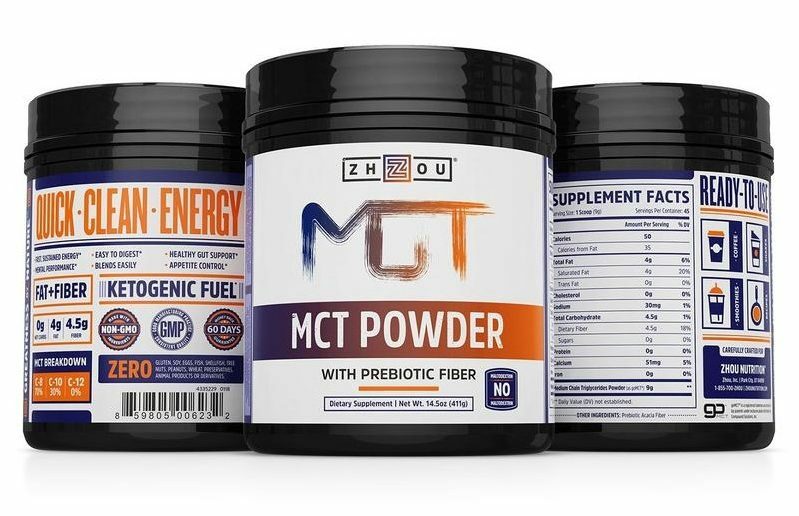 Made to sustain physical and mental efforts, the MCT oil powder is much easier to use than the liquid alternative as it will not come with the grease so many people run from. It is easy to mix in a cup of tea or coffee and it can be one of the recommended solutions when you want the added practicality which means that you can also take it with you while traveling. Some airlines even ban liquids and this is why the added practicality of the supplement can come with added benefits for many people. At the same time, it maintains the same nutrients as the liquid alternative MCT oil.